Again we're a little behind (a little less this time, though!) on getting this one out, but hey, better late than never I suppose! Fall of Anterfold (or AnterFOLD, it's used interchangeably), a colorful-equine-flavored co-op survival horror game, has recently released its second beta. According to their website, there seems to be quite a few interesting rules in place, such as a shared life between two players; if you or your partner die, that's an automatic game over. They also tout the general ruleset changing between games, such as shifting the amount of loot and enemies. Overall, it looks pretty interesting, so do check it out! Albeit a bit late, it is friday once again, so it is time for another affiliate event announcement! Yesterday CaptainHoers, of Firestarter Spitfire fame, voiced his view on a few of the darlings in the Pony games world, Ambient, Fallout Equestria and Horse Game. He makes some good points with an appropriately sceptical outlook and a focus on the game design. What makes them work, where do they fall flat and how do they compare. Split into the sections of introductions, the looks, mechanics, the scope of the projects and briefly rounding it with how their states could be improved, he does get well around the subjects. Give it a watch, form an opinion, learn something and... I dunno, make a game of your own. The community could always need more pony games. Cheers. It is friday once again, so it is time for another affiliate event announcement! Here's a little something for those of you who may have missed it! BronyCon's YouTube page has recently put up a playlist of full videos for what I assume is pretty much every panel from this year's convention, including quite a few horse game-related panels which we've compiled below the break for your viewing pleasure! Horse game panels ahoy! Now, while I am relentlessly working on an overly long article, it is time for another affiliate event announcement! I was out socializing yesterday, when I got the info, so this is out a tad late. Still better than last week, which I forgot about entirely. 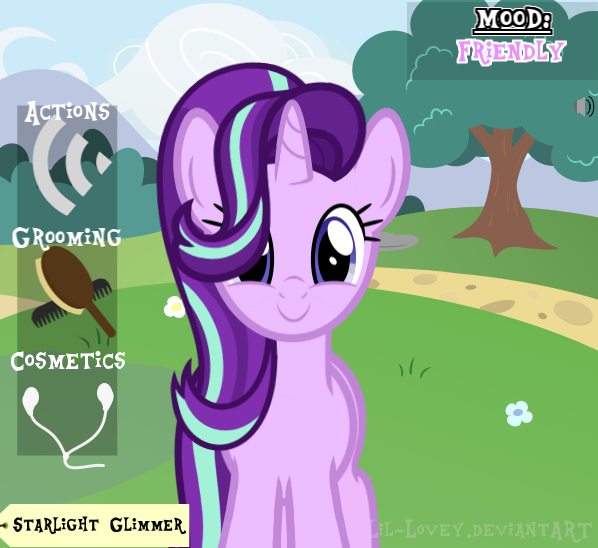 Apparently it's Horse Simulator Month™ or something, because right on the heels of last week's Fluttershy Pony Petting Simulator, creator Lil-Lovey (who's apparently done quite a few of these, do check 'em out!) now brings us a Starlight Glimmer variant! If you're looking for something a little more involved or hands-on (heh) than the previous simulator, you're in luck; there's a few menus in this game covering everything from gestures and interactions to neat little cosmetic bits like adding glasses, bows and even alternate manestyles! There's really not much else to say here, but I honestly don't think I need to say much else! It's another, even fancier colorful horse boopathon. Really, you should've been playing this, like, at least five minutes ago! We have very recently entered an affiliation with the people at CinemaQuestria. A bit of cross-site friendship, acknowledging each others positions in the community and directing a bit of traffic back and helping each other out. So without further ado, we have an announcement of theirs to bring you. Join in at the usual CinemaQuestria Stream, at http://cinemaquestria.com/stream/. Event starts at 9:30 pm EDT or 2:30 CET on the 12th for us in Europe. I know we're late to the party, but darnit. 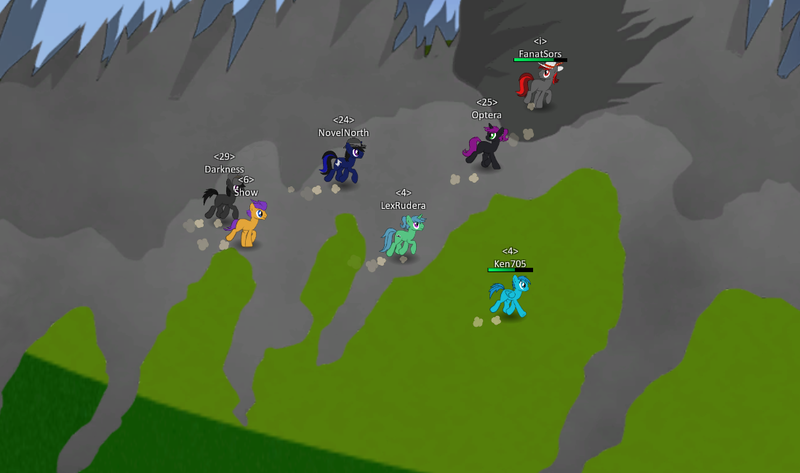 Through the channel of Yudhaikeledai, of Pony Sims fame, FanatSors have announced an open test session of his game, Pony Room Online, over the course of a few days. I have personally never heard of this project before now, but having spent a few hours, I can tell you it's a pretty enjoyable little MMO in it's very early alpha stages. Unlike Legend of Equestria, it has actual gameplay beyond phasing through fellow ponies and dancing in line in front of sugarcube corner. Stay tuned for a more in-depth piece about it the upcoming days. 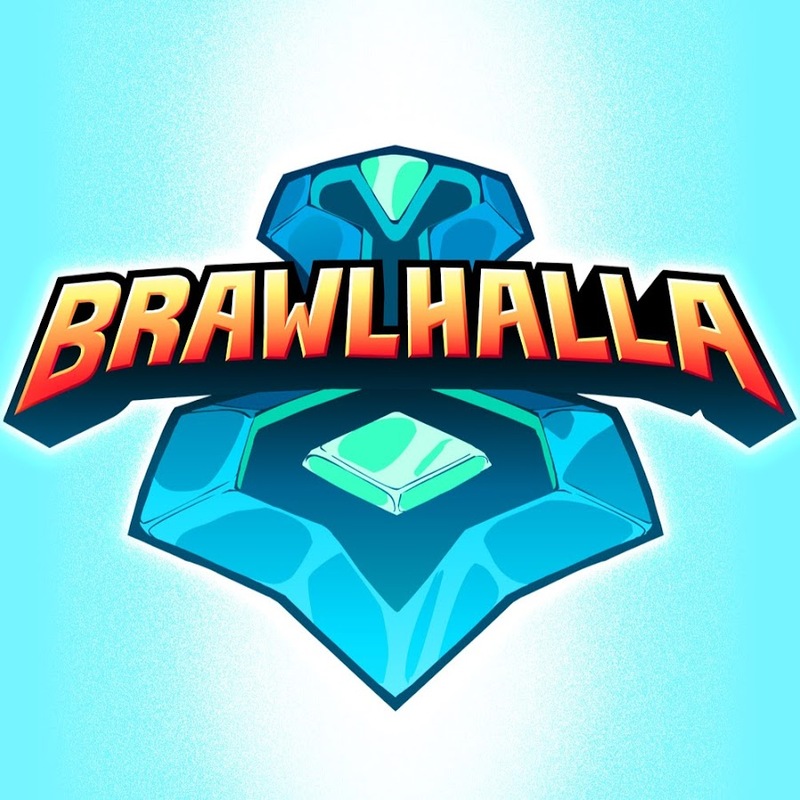 You can go to the video description and find the downloads, along with a link to the accompanying Discord server, where the developers and anyone enthusiastic about the game hangs out for those delicious instant updates on the thing. I've got to mention, as a short disclaimer, there is currently only Windows versions available, but that's what most of you use anyway, so oh well. Admittedly we are already two-three days late with this announcement and we don't have a definitive time frame for when the server is gonna be shut down. However it is still running as this moment, so if you are quick enough pop in and boop some snootles before it is too late! The guys at A Little Bit Different released the first gameplay trailer, for their game, Ambient.White, previously known as Ambient.Prologue. With this new trailer they are showcasing story, environments and world and, of course, some gameplay. I’m a horse of the gameplay, a game lives or dies on that, in my book. It is just a shame that it hardly displays any gameplay then, despite apparently being a gameplay trailer. In the four years at this point that I’ve happily been a part of this colorful horse cult we call a fandom, I, like many, have partaken in countless amounts of fan media of almost every single stripe. I’ve got loads of images, stories, music and a bunch of other little digital pony knick-knacks stored across an untold number of places, and like many I’m finding and collecting more every day. I suppose sacrificing loads of precious storage space is but one part of the price we pay for our (or my, at least) obsession! So it goes! Some time ago, a neat little Cookie Clicker clone made it's rounds around the fandom. 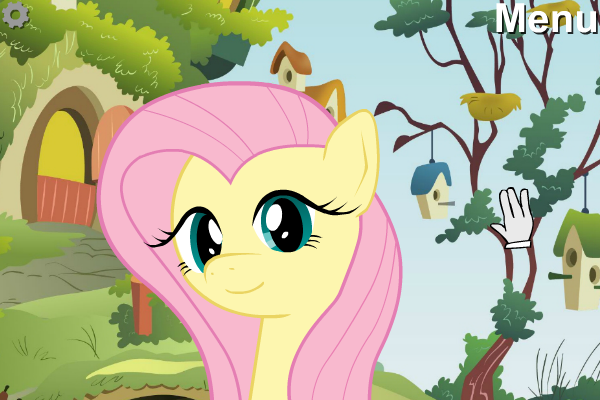 EQD Clicker allowed anyone to finally grab a slice of that sweet, sweet horse fame, providing it wrapped in the form of an endearing, snarky clickfest. You can't deny that it's a neat little idea at the least, yeah? 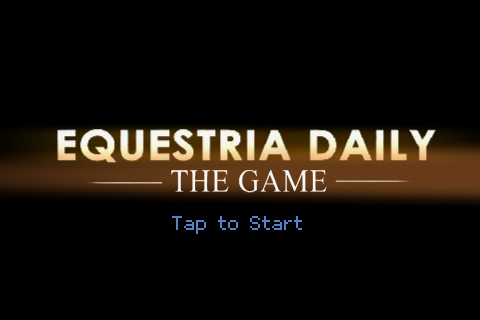 Commonly, and as expected, a lot of folks simply referred to it as Equestria Daily: The Game. I mean, that's accurate, right? That’s what it is, after all. Before the original incarnation of Equestria Gaming folded, and before this subsequent revival, I'd paid the arcade quite a bit of attention following the release of EQD Clicker. Somehow, smaller-scale fangames had gone under my radar for quite some time, and I was going on one hell of a binge after discovering it. In my journey through the Equestria Gaming Arcade, I discovered that another game styled as Equestria Daily: The Game actually exists, made all the way back in halcyon days of 2011. By some strange, interesting twist of fate, we have two Equestria Daily games, made four years apart (in almost two completely different pony fandoms, really! ), and with vastly different styles and approaches! You have to admit that’s at least a little bit neat, y’all. C'mon. Naturally, this begs at least a few questions: Why, for one? How do these two compare? Which game, and which developer, did this incredibly silly concept the...proper justice, I suppose you'd call it? Let’s take a look at these below the break and find out! The long thought dead project, Ponykart, is, thankfully, not actually dead, as previously thought. 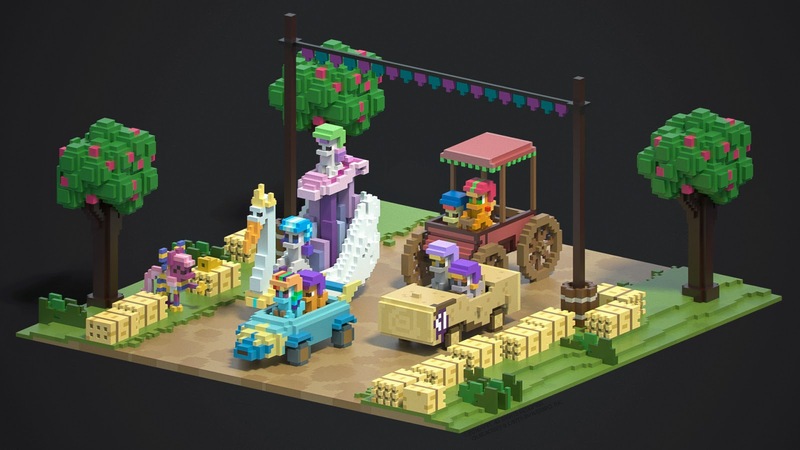 It has come to our attention that a new team has formed to continue the massive undertaking of developing a 3D kart-racing game featuring our favourite horses of friendship. It is not currently clear (at least to us) how much progress has been made, but it seems the team is really motivated in doing it, even if it's a path full of obstacles. As of now, the team is having some public relations issues, as the official Ponykart forum had a severe failure, leading to the loss of the past years messages and whatnot. The team is not in a state to release anything "visible", like a video or some screenshots, which only adds to the feeling of negligence. Despite all this, the game is still being developed, and the developers deserve to be acknowledged for their efforts. You can also read more about the situation directly from one of the team members as he/she posted in a thread over at the MyLittleGameDev forum. Ponytown is a recent viral affair, that has been buzzing around tumblr and the imageboards in recent months. Ponytown is a social HTML5 experience. I hesitate to say game, as there are not anything outside of walking around the green fields and socializing with other players. There are an extensive amount of customization around the pony you walk around as, from gender and mane styles, to accessories and all the different colours you could wish for. It's hard to recommend it for its sheer gameplay value, but in the case of socialization, it is an entertaining little thing. You can switch the tiled playing field between grass and dirt by clicking, but I wouldn't say that counts as gameplay. This is usually where the viral or memetic twist snuck its way in, with people having found their own forms of entertainment, drawing whatevers in the grass for people to behold. As it is, it's still very much in an alpha stage, constantly getting updated and getting new stuff and features added as we speak. Trees and rocks here and there, a new login system, all small additions towards the right direction. As mentioned, it is an HTML5 endeavour, so it should work in every major browser. Take it for a spin if you are curious, have some friends to hang out with. I've even seen people use it as a virtual meet-up spot, so that's a very possible option as well. There are both a safe and an unregulated server, so I'd assume it is suitable for all ages. 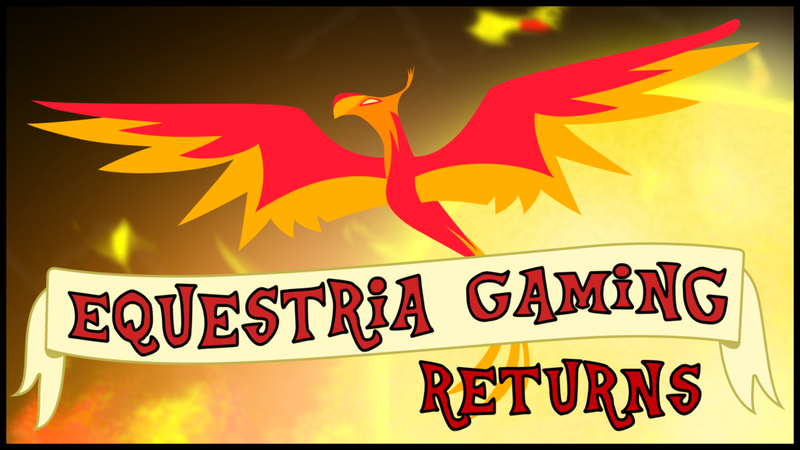 After just over a year of silence, Equestria Gaming is finally back! We're back under a new administration and domain, mind you. Now it's equestriagaming.net, not .com, which is explained after the break. After seemingly having been abandoned in early August last year, the only pony games news outlet was Equestria Daily. With the sort of daily output we all know Equestria Daily has, any and all game related news are gonna get drowned out. Hence we have made our move to revive this site and have then been working on an extensive recovery process. So you can see this as a reboot. A new site, a new administration and a new approach to how the place is handled. I'll explain the situation, with a bit of background info, under the break.